Native islander Matt King (George Clooney) lives with his family in Hawaii. Their world shatters when a tragic accident leaves Matt's wife in a coma. Not only must Matt struggle with the stipulation in his wife's will that she be allowed to die with dignity, but he also faces pressure from relatives to sell their family's enormous land trust. Angry and terrified at the same time, Matt tries to be a good father to his young daughters as they too try to cope with their mother's possible death. 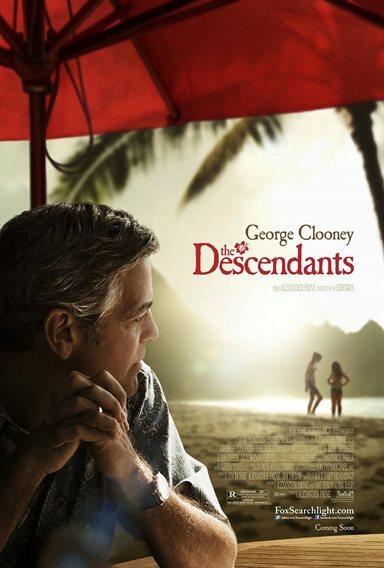 Download The Descendants in Digital HD from the iTunes store. The Descendants images are © Fox Searchlight Pictures. All Rights Reserved.